There’s a gap between what we want, how it is, and what we want to be. An existential divide between how we dream, how we feel, how we think, and what actually gets done in the modern world. 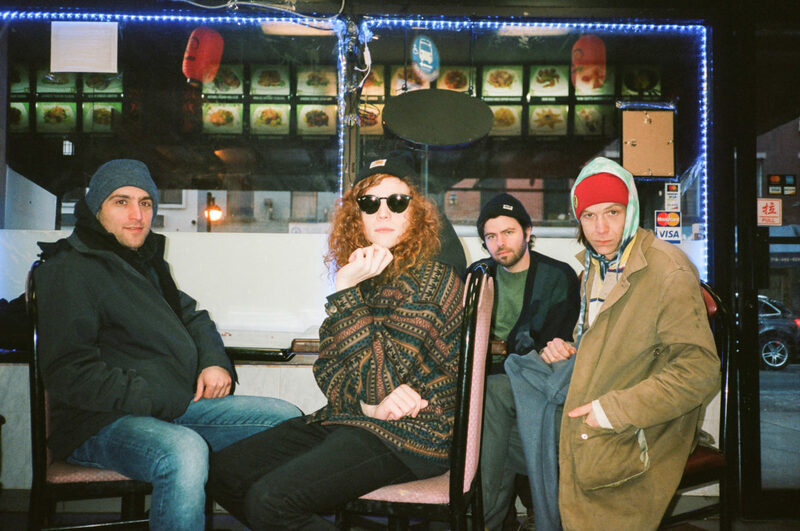 WIVES don’t know how to reconcile this, and they don’t try to give you the answer; instead, So Removed, their incisive debut album due out June 28 via City Slang, plunges into that void of unknown, a tangle of contemporary dread and optimism, mapping the gray areas of alienation. 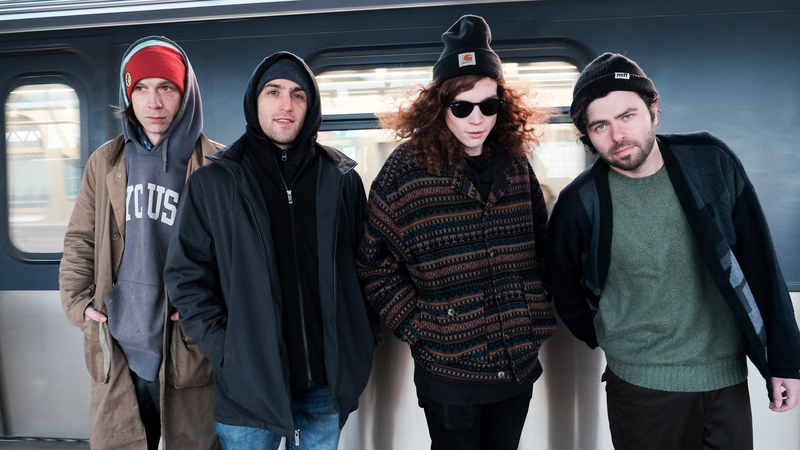 The Queens, NY four-piece is the latest fit into a long lineage of New York’s gritty, melodic-meets-punk bands. So Removed is grungy dark-wave, tethered to daily anxiety without resorting to cynicism. The noisy dissonance of Sonic Youth, the edgy hooks of early Pixies, and the clever, cerebral sneering of the Fall simmer as touchstones within the album, sharp and prodding at the details, pulsing with urgency. WIVES is Jay Beach on guitar and vocals, Adam Sachs on drums, Andrew Bailey on guitar, and Alex Crawford on bass. 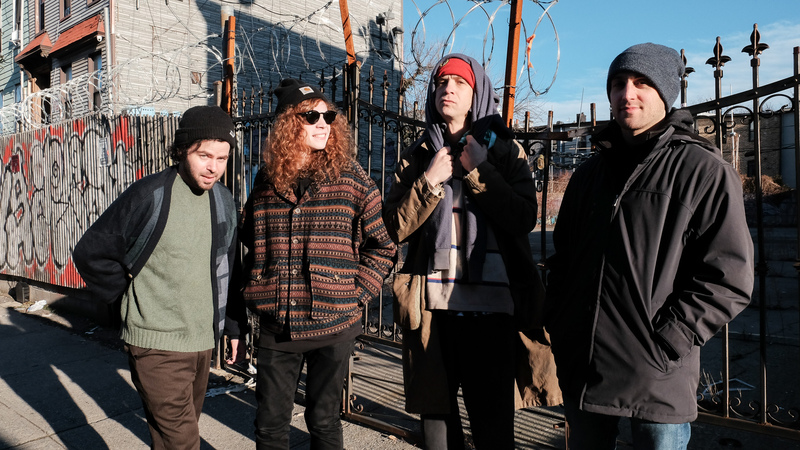 Embedded in New York’s DIY music scene through their respective projects, with years of playing house shows and booking their own tours under their belts, it wasn’t until a random day of extra studio time booked for another project that the four of them actually played together. That first day yielded the blistering “Waving Past Nirvana,” along with the jaunty “The 20 Teens” and the frenetic “Hideaway.” So Removed came together in stolen moments, mainly during off-hours, with the band doing much of the recording themselves. Rippling with a visceral intensity and a live-to-tape sound, its clawing for sonic optimism butts heads with lyrics that wade through the intensity of alienation. The collision of melodic punk “Servants” has its hard edge softened by the inclusion of ‘60s vocal group harmonies. “Who ya serving?” Beach demands, adding later, “The people they go blind, to be servants to the right.” “The 20 Teens” is WIVES’ capturing the definitive sound of contemporary rock as we follow a stoned narrator enveloped by delusions of grandeur before being brought back down to earth. Beach cites hearing a-ha blaring at a Bushwick restaurant and thinking all of the lyrics might as well have been ‘This is the ‘80s, this is the ‘80s,’ and took his own stab at doing a track for the 2010s.